New Golems has already been implemented in a modification format as well as a script (about 5 years ago). 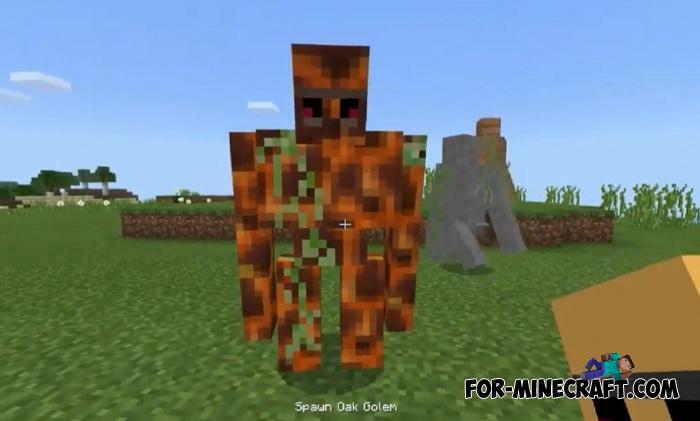 During this time, Mojang managed to raise the level of addons and make them similar to BL modifications as much as possible, although it is still far from its level. 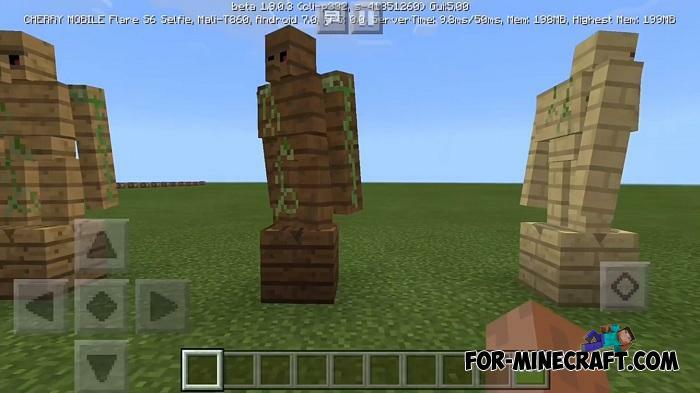 For example, the Golem World PE mod is the ancestor for new golems that supports the latest beta but with small bugs. Therefore, if you need new golems without game conflicts but with a bit less possibilities, then pay attention to the addon. 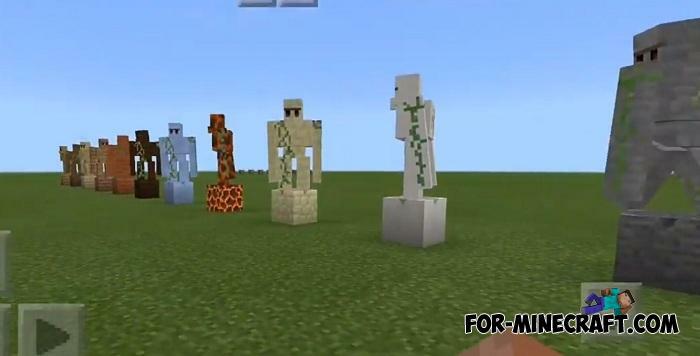 How to install the New Golems Addon?